Obituary – Crider, Ann Jean (Hunt) « Perry High School Alumni Association, Inc. Band ’45-’49; Perryscope Staff ’48-’49. 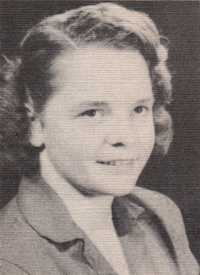 Ann Jean (Hunt) Crider was born October 7, 1931 in Clinton, Oklahoma to Harry Hamil and Nellie Agnes (Cleaver) Hunt. She passed from this life on Friday, September 4, 2015 at Perry Memorial Hospital with her daughter by her side. Ann Jean attended one year in Antler Schools, one year in Duncan Schools, and ten years in Perry Public Schools. She went on to continue her education at Oklahoma University and Oklahoma State University where she received a Bachelors of Science from OSU in 1954 and a Master’s of Science from OSU in 1965. Ann also received her teaching certificate from Central State University in Home Economics in 1966 and elementary Education in 1967. She was a member of Phi Upsilon Omicron Honor Society in Family and Consumer Sciences, and Omicron Nu Human Sciences Honor Society. 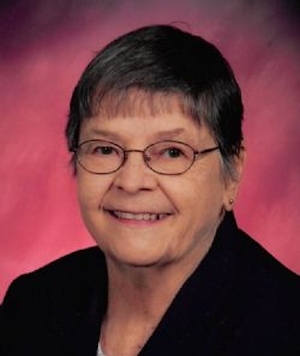 Although Ann Jean began her education career at the White School, where she taught for two years, it was her twenty five year career at Perry Public Schools for which she is most remembered. In addition to teaching, Ann Jean coached girls’ sports at Perry Elementary School, as well as serving as the Perry High School girls’ golf coach for seven years. Her love for teaching and inspiring her students is well remembered. Ann Jean was a gifted artist. Her talent and creativity extended beautifully with mediums rendered in oil, acrylic and tole painting. She enjoyed exhibiting her work at art shows. Ann Jean also expressed her artistic gift through quilting and sewing. Other interests included playing Bunco with friends, traveling, fishing and golf. There are many Perry organizations to which Ann devoted her time over the years. She held offices with several groups, including Cherokee Strip Arts Association (President), Sundowners Club (President), Perry Progress Club (Vice President), and Cherokee Strip Quilters Guild (Vice President). She also baked and provided hot rolls for the Monday meetings of the Perry Rotary Club for over ten years. Ann Jean was a member of the First Christian Church of Perry. A funeral service will be held at 2pm, Thursday, September 10, 2015, at the First Christian Church in Perry, Oklahoma. Reverend Martin Foster will officiate. Burial will be at Memory Lane Cemetery in Kingfisher, Oklahoma. Family visitation will be Wednesday, September 9, 2015, from 6-8pm at Brown-Dugger Funeral Home in Perry, Oklahoma. Ann Jean is survived by one daughter, Lynn Martin and her husband, John; one granddaughter, Ashlynn Cheyann Briscoe and her husband, Bryce; and one grandson, Greylyn Hunter Martin. She was preceded in death by her parents, and sister, Gwendlyn Lee Reiber. Memorials may be made to the First Christian Church Parking Lot fund, in care of Brown-Dugger Funeral Home, 1010 N. 7th Street, Perry, OK 73077.